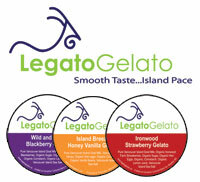 Legato Gelato - Logo design, Packaging design, Marketing Plan, Social media planning, Banners and business cards. Fresh Ideas from Emagination Design! Fresh contemporary design will help you stand out from the crowd and get noticed! Whether your goal is to inform, intrigue, or entertain your audience, professional graphic design and website design is the invitation to hear what you have to say. Emagination Design can help you develop the Logo and branding for your business, and provide professional graphic design for product packaging, marketing promotions, websites and events. "Sue - thank you, thank you. You are the best. We love our logo, designs, signs, business cards - EVERYONE is impressed with the stunning, memorable simplicity of the logo. The labels are just perfect. Karen and I have and will continue to recommend you to others for your creativity and timeless style you bring to an idea." Click here to see what our clients have to say about working with us. Most businesses recognize the importance of having a great website and establishing an online presence, as customers expect to do at least some of their due diligence electronically. So what is your current website saying about you? Emagination Design can refresh your look, and create a site that is fresh, contemporary, and easy to navigate. 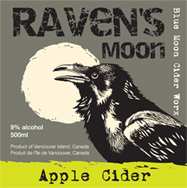 Emagination Design can add impact to your promotion and create packaging that will catch the eye and the imagination. We specialize in creating materials that support the arts and celebrate the diversity of our culture. Not familiar with technology? No worries, our relaxed and comprehensive approach helps you feel comfortable and inspired, not confused by technical jargon or blinded by science. For a free ½ hour consultation call our office at 250 334 9927.